The Elite-6 All Skills Camp is only open to those with rep hockey experience and will be limited to 6 spots. This camp is a 1/2 day offering with a combination of two, 45-minute on-ice sessions and 75-minutes of off-ice stickhandling and shooting training. This camp is run by UBC’s most experienced NCCP certified and trained instructors, and mimics semi-private training sessions that cater directly to the participants of the camp. Not all camp offerings follow the same curriculum, as the camp specifies to the needs of the skaters. With 3 hours of specific instruction per day this camp is sure to elevate your skater to the next level. *No camp on August 5 due to statutory holidays. This camp runs twice in the 2 weeks leading up to tryouts and is for those highly motivated to make a jump onto their desired rep team. 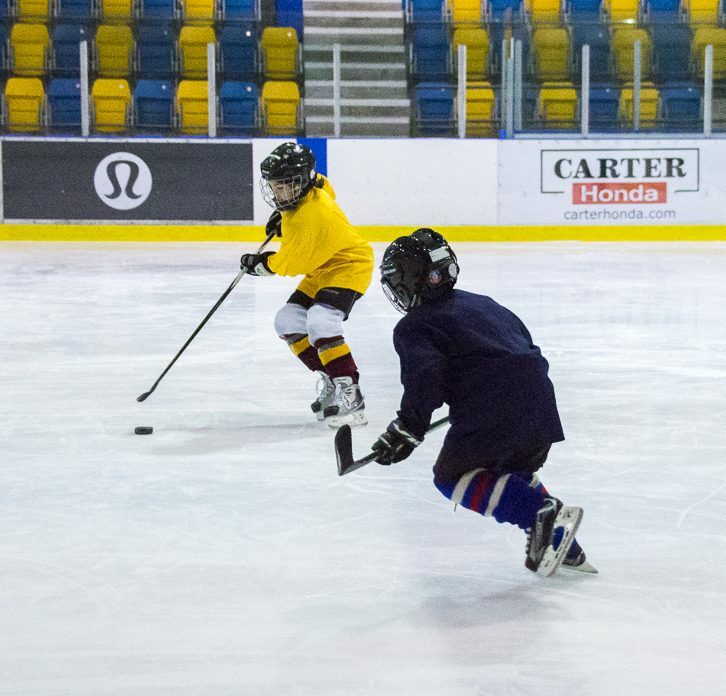 Our Beginners Skating, Agility and All-Hockey Skills Camp is perfect for your little skater looking to try hockey for the first time! This camp will teach you different skating techniques, challenge your edges and leave you a fundamentally stronger skater. Our Intermediate Stickhandling and Shooting Camp uses the new UBC Shooting and Stickhandling Area built specifically for off-ice development.